Founded over a decade ago by one of the nation’s most innovative agents, the Pomerleau Team is one of the finest residential real estate teams in Minnesota and is a top real estate team in Minnesota and the surrounding six-state region licensed with JP Willman Realty. Headquartered in Maple Grove, the Pomerleau Team has a proven approach to the sales and marketing of homes. We offer sellers unmatched experience, research, knowledge, marketing, and negotiation to obtain the best possible result — the highest price in the shortest amount of time. From preparing your home for sale to handing the keys to the new buyer, the Pomerleau Team’s listing agents will be with you every step of the way. We are committed to an integrated marketing program for every home. This means that your home is marketed through all channels online, social media, print, direct, and advertising. Our full-time Marketing Coordinator creates campaigns to leverage new and proven marketing techniques and strategies. Once your property is in contract with a buyer, our dedicated Transaction Coordinators will handle the paperwork and details to ensure a smooth close of escrow. Having a full-time resource on our team will limit your liability and exposure, giving you peace of mind long after the sale is complete. We take a detailed look at your home and evaluate recently sold homes in your area to help determine the most accurate and up-to-date value and price. Unsure about re-painting, installing new carpet, or how to arrange your furniture? Our professional stager you make the best choice for your home. Whether its online or in brochures, you can rest easy knowing that your home will look its absolute best with our state of the art photography! We’ve developed our own specialized marketing strategy to ensure that your home gets in front of as many qualified buyers as possible! 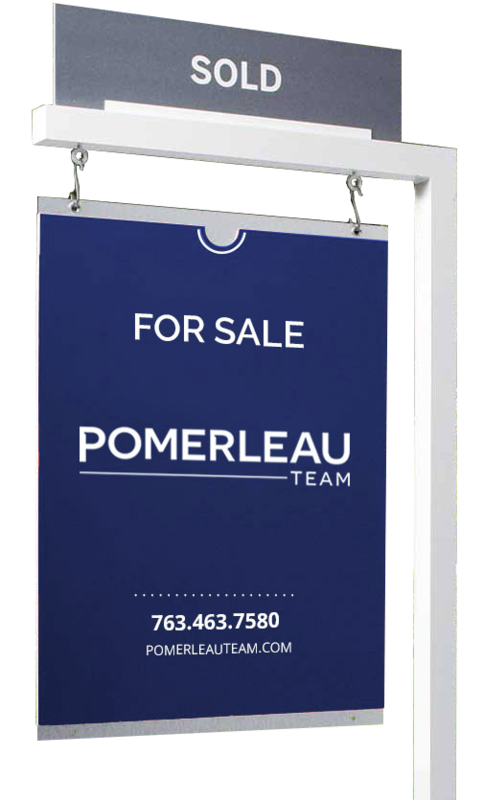 The Pomerleau Team’s agents are skilled in pricing, marketing and negotiating. They are also caring professionals who can ease your anxiety and guide you to a successful outcome. Each has lived and worked in this real estate market, cultivating invaluable connections and impressive lists of satisfied customers. With our full service team, the entire process has been streamlined so you can have a more stress-free and enjoyable experience while buying or selling your home. Throughout the real estate community, our agents are known for putting their clients first.